Meet the artist, Sandy Scott. Born in 1943, raised in Tulsa, Oklahoma, she studied at Kansas City Art Institute. She maintains studios in Lander, Wyoming; Lake of the Woods, Ontario, Canada; and at a mountain retreat in northern Colorado. Surrounded by mountains, lakes, and streams, she is an avid outdoors woman and a licensed pilot. 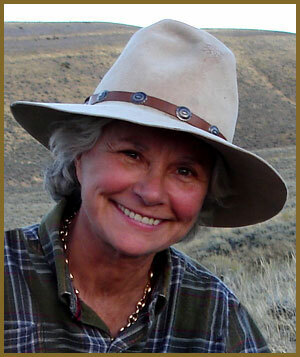 Sandy has won numerous awards for etchings and sculpture and is a member of many prestigious artist’s organizations. She is the subject of a beautiful and informative art book titled Spirit of the Wild Things—The Art of Sandy Scott. Sandy participates in annual juried museum exhibitions and is in the permanent collection of the Gilcrease Museum, United States Military Academy at West Point, Brookgreen Gardens, and the National Museum of Wildlife Art. Her most recent sculpture commission was a sixteen foot wing span American bald eagle which is at the entrance to the Clinton Library, Little Rock, Arkansas. Sandy says: “ The most profound realization of my life is that there are people I have never met who live with my art, and therefore I share with them a personal, if not intimate relationship”.